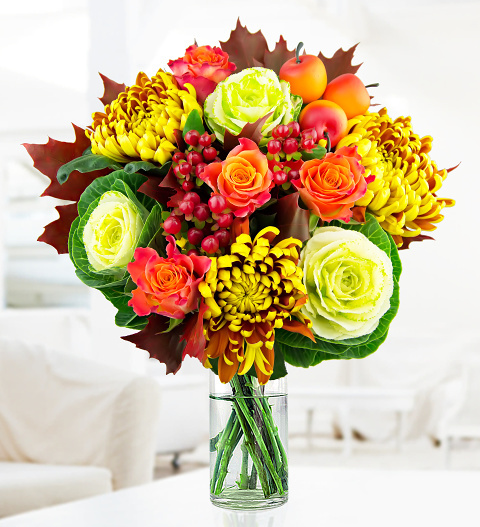 We have selected the finest flowers and foliage for this Autumn arrangement. Our professional florists have included Brassicas, Marie Claire Roses, Chrysanthemum orange blooms, Hypericum and oak leaf. We have also included an apple pick for that perfect final touch.